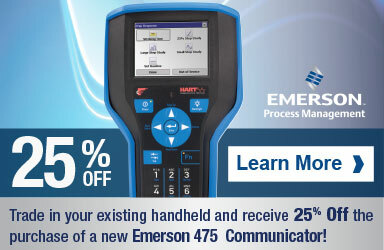 The Emerson 475 Field Communicator is a Configurable Product. See the full 475FP1EKLUGMT configuration details and specifications below. See our Emerson 475 Family Page for an ordering guide and all configurations. To have our factory-trained technical sales team help configure the right product for you, call us at 800-828-1470 or request a quote.